We have seen a steady decline in the Rand over the last couple of trading sessions due to economic and political uncertainty combined with Dollar strength. 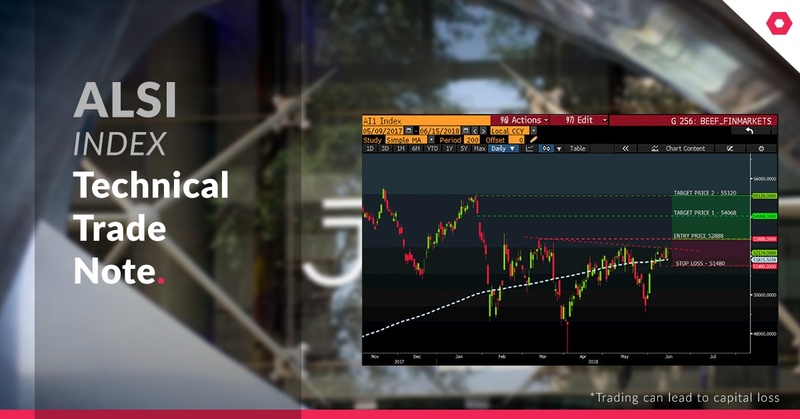 The weakness in the local unit could bring life to the Rand hedges which could ultimately push the ALSI higher. 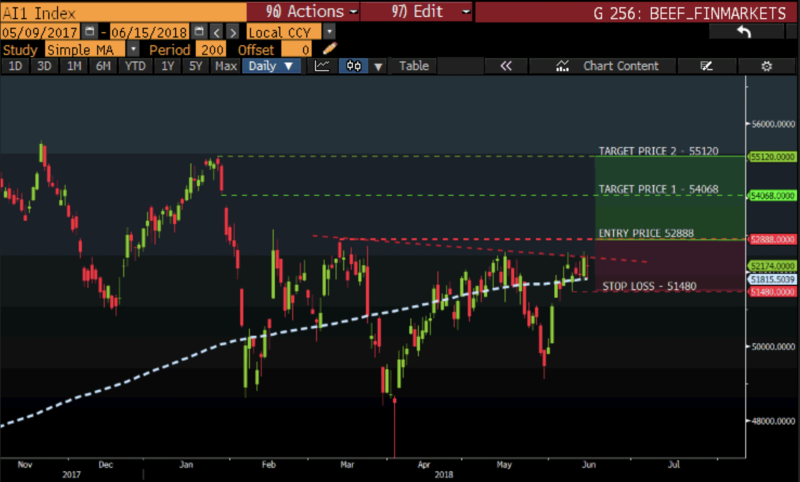 Outlook: with the price of the ALSI trading above the 200-day simple moving average (SMA) the (white dotted line on the chart) and a distorted inverse head and shoulders pattern might just support the upward price movement on the ALSI.